Digi Sketch Challenge: Winner of 6 October Challenge. Winner of 6 October Challenge. Well thats another week passed by, so nearer to Christmas we get again. 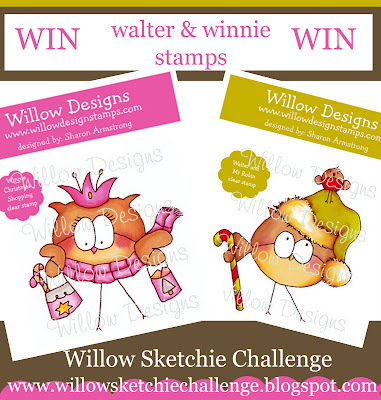 Why not buy the NEW Walter and Winnie Does Christmas CD to help you make your cards. Its available from Willow Designs NOW!!!! Our Winner this week will receive the stamp set below. Congratulations Jo, If you can email me (hazze89510@aol.com) with your snail mail addy I will get Sharon to pop them in the post to you. Thanks to everyone who took part again you were all stars.